There are countless things to think about when you’re starting a business. Whether it’s where to set up shop, how to define your marketing strategy, or how to keep your budget in check, it can be stressful as an entrepreneur. One of the best ways a business owner can streamline the process, especially early on, is to select a lawyer. If you’re starting a business in Philadelphia, Jeff First Law is here to help. For entrepreneurs starting a new business in Philadelphia, there are a number of legal requirements. Similar to an Employee Identification Number (EIN), Philadelphia requires that business owners obtain a Business Tax Account number, a Business Privilege License, and a Commercial Activity License. 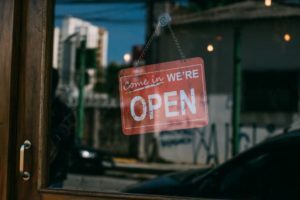 Filing for these different licenses allows you to conduct business legally in Philadelphia, but there’s still quite a bit more work to do to get your business up and running. Other major steps in starting a business in Philadelphia include, drafting contracts for your vendors, employees and clients, deciding if you’ll identify as a corporation or limited liability company (LLC), and setting up your real estate lease agreements. Each step of the way, Jeff First Law can assist you. We offer both transactional and litigation services. Starting a New Business in Philadelphia? If you’d like to learn more about how Jeff First Law’s services can make starting a new business in Philadelphia easier, contact us or give our office a call at 215-307-3939 to speak with one of our attorneys.